CANVAS is now being considered by architects as an attractive and economical building material for the small homes of the future. Canvas can now be treated with preservative paints to make it waterproof and fireproof. A summer home which can be built anywhere for less than $1000 uses canvas almost exclusively as a surfacing material. The open lower deck, raised one foot off the ground to avoid dampness, is used for garage, storage, and shower bath. The main floor 8 feet above is reached by a folding stairway, as is the sun-deck above. 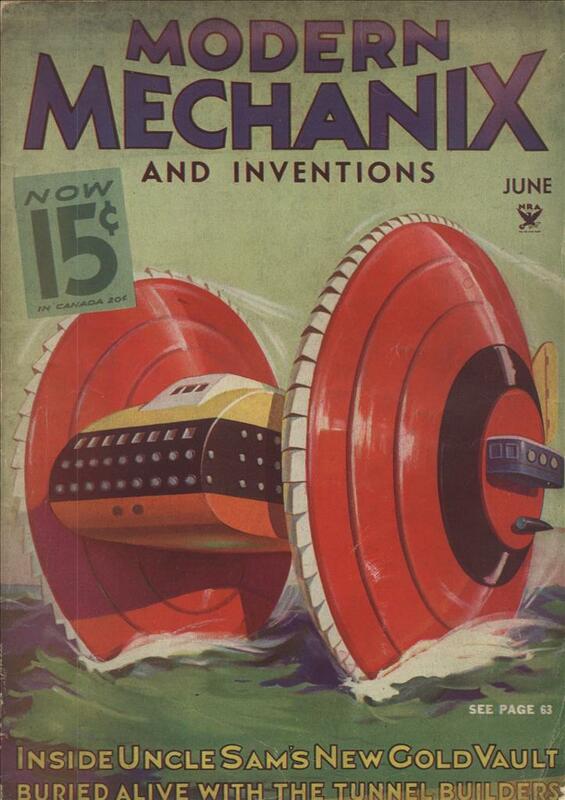 When ever I read “of the future” my mind adds a deep echo. I imagine one strong breeze would take the house down. I am looking at the picture, how does one get to the sundeck? You get to the sun deck via a folding stairway, it’s right there in the caption. I can’t help but think that even though this place CAN be built anywhere, it SHOULDN’T be built everywhere. TimE, for some reason I misread that, thanks for pointing it out. Might be fun in the summer but $1000 was a lot back then and I don’t see this as any type of permenent structure. I wonder how they do the insulating. It’s interesting that the earlier article, which quotes a price of $1,500, is from February, 1933. 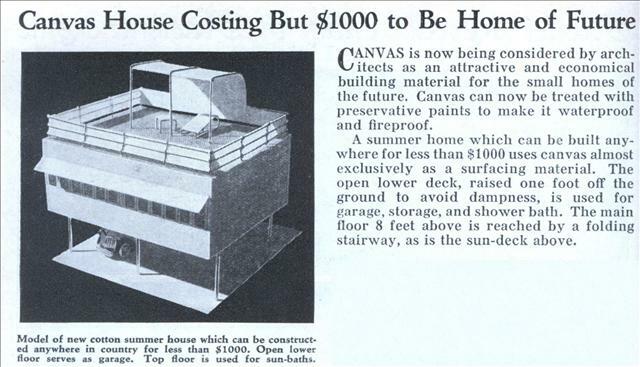 I wonder if this story about an architect with a novel idea for low-cost housing was part of what inspired Ayn Rand to write The Fountainhead ten years later.